Here is my take on the sketch. 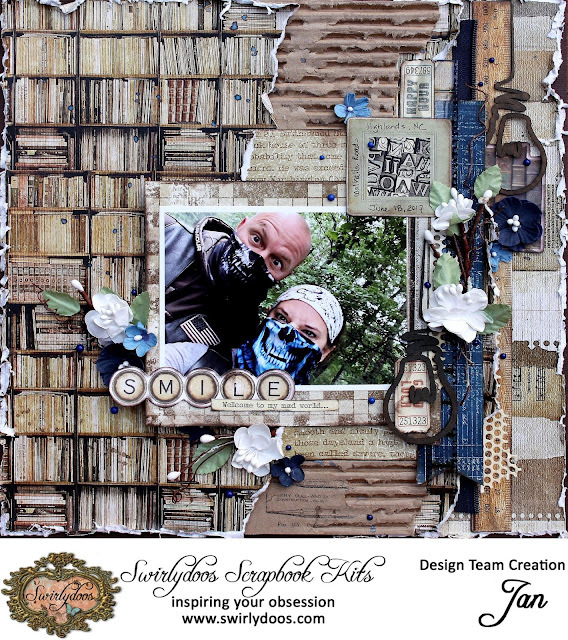 This kit is full of beautiful papers with wonderful textures. This is a very masculine kit. This is a photo taken a my dh retirement party. It's my bff and his bff, you would think they are a couple but they aren't. The kits and add-ons are jam-packed, so I used very few things from my stash. 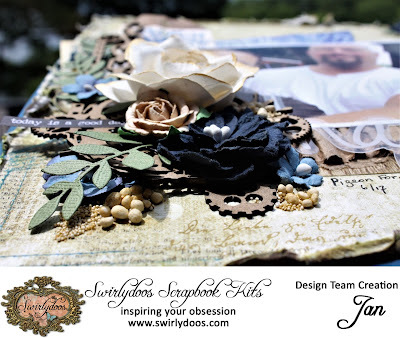 The swirl die cut and the piece of torn music paper. I really stuck to the design of the sketch. Next up is another layout. This is another masculine layout. I started with the text paper and added layers of torn paper to create the design. 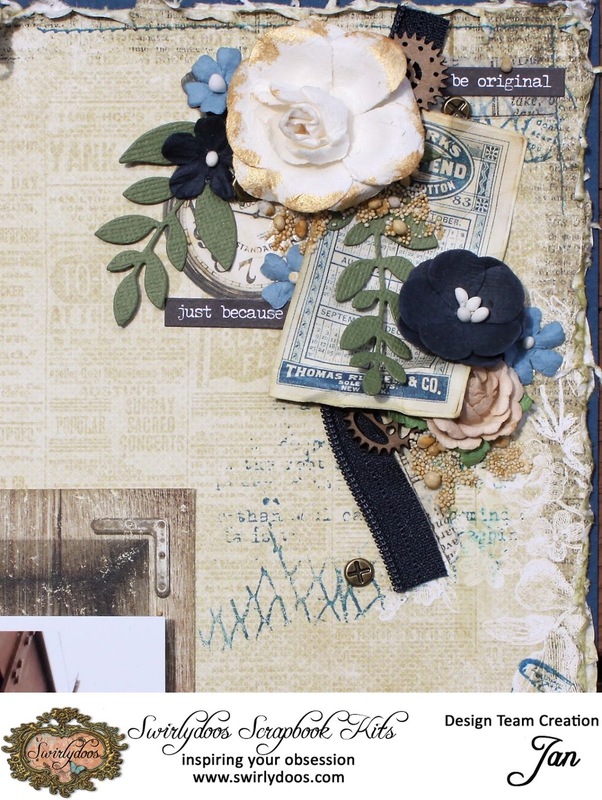 I used some burlap flowers from my stash. My dh hates it when I add flowers, so when I do I try to make them more manly (textured) and less girly. Next up is another layout.. more of dh. I had so much fun creating this. 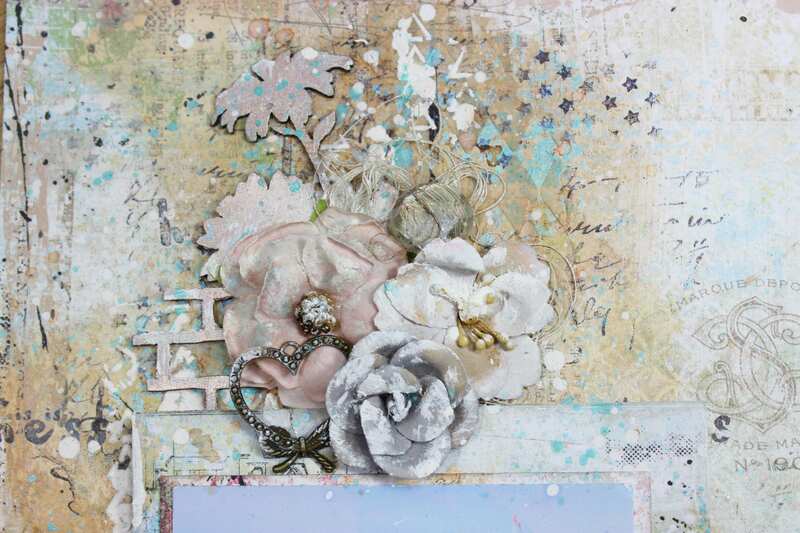 I did just a bit of stamping on the background as the paper has lots of texture.. I add lots of layers to this. 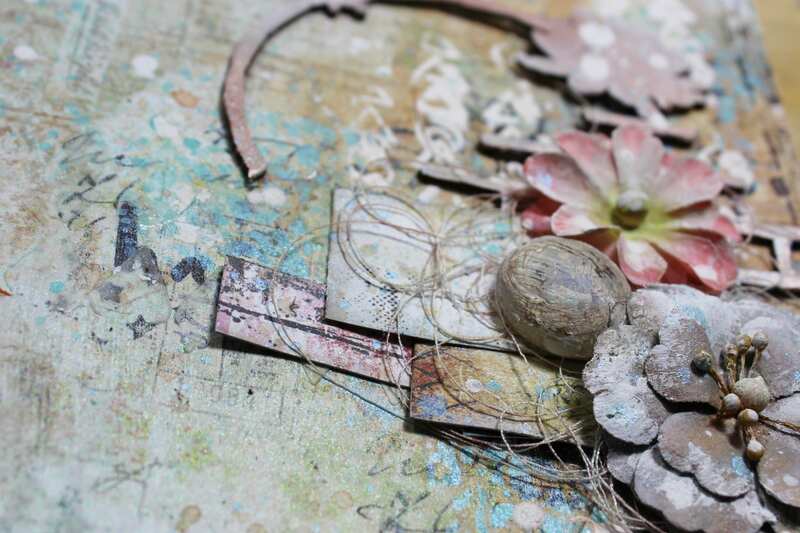 The tiles from the main kit, layers of paper, added some burlap and drywall tape from my stash. Next up is my lantern from the Project Add on. I am so in love with how it turn out, considering I didn't have a real plan when I started. It was one of those grab some supplies, turn on the video camera and let's see what happens. I have a a 2 part video on how I created it. Below is part 1, how I created the color and texture on the outside. Come back on Saturday for part 2, how I created the Butterfly Sanctuary on the inside. 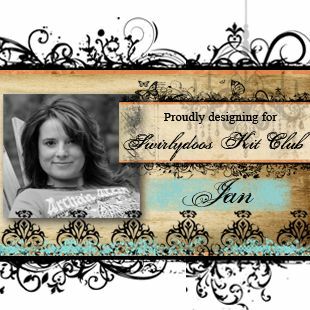 Now to share my projects created with the July kit of the month. 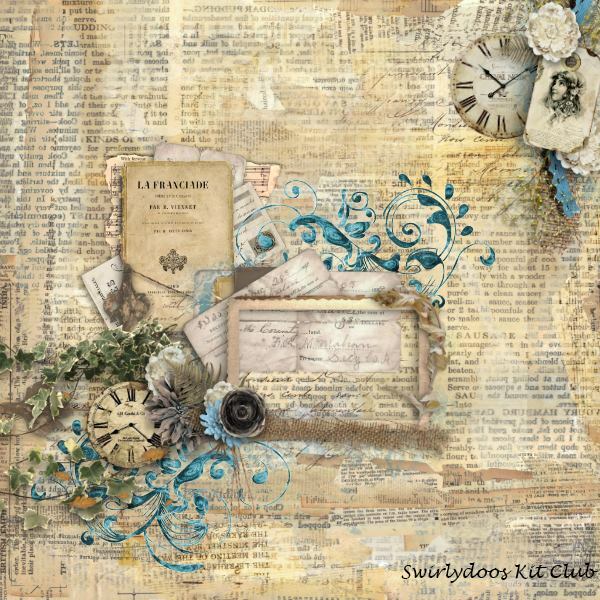 I loved the Scrapberry papers. Didn't you? 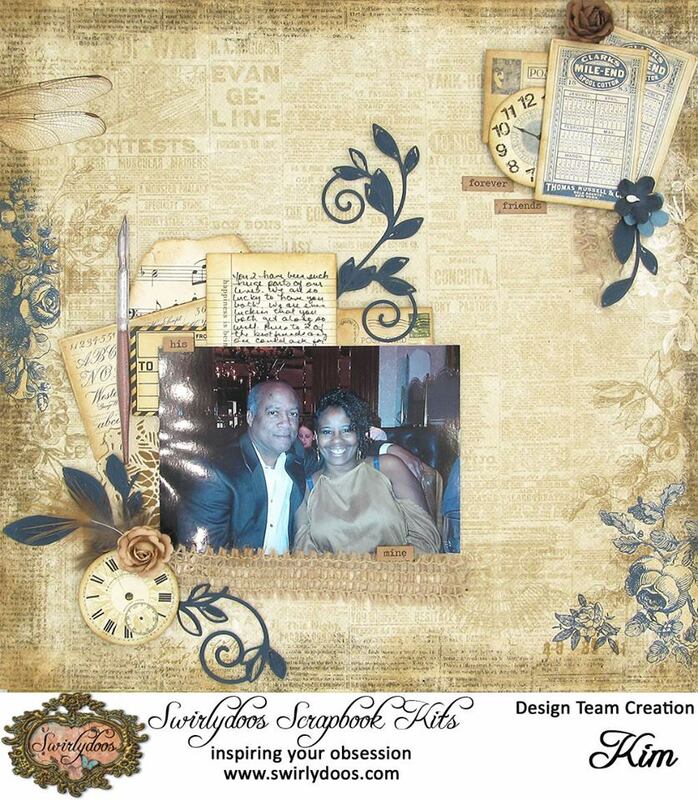 So, first I'll share the layout created with Kim's awesome sketch. I left the chipboard naked and added some cardboard (from the box my kit came in) underneath the photo. The "happy" is an acetate piece from Heidi Swapp. 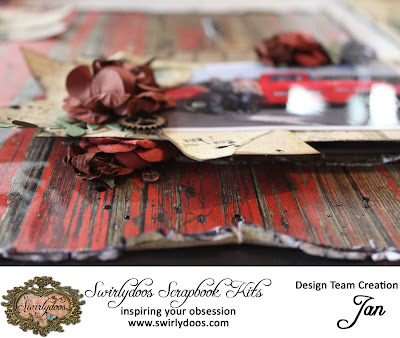 The word strips are Tim Holtz. 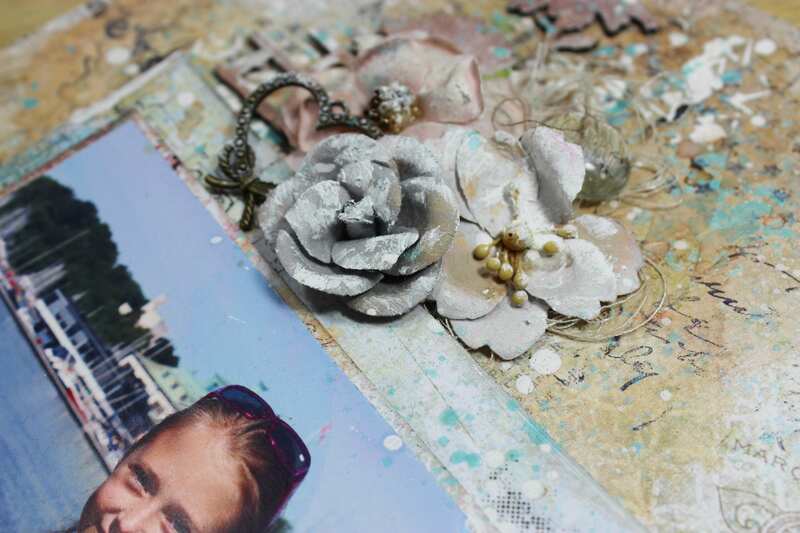 I added some Prima Art Stones and Mini Art Stones to fill in some around the flowers. Then, painted them with Prima watercolors. I liked how the cardboard looked so I used it on this layout, too. I cut the 49 and Market flower spray apart to use it around the picture. 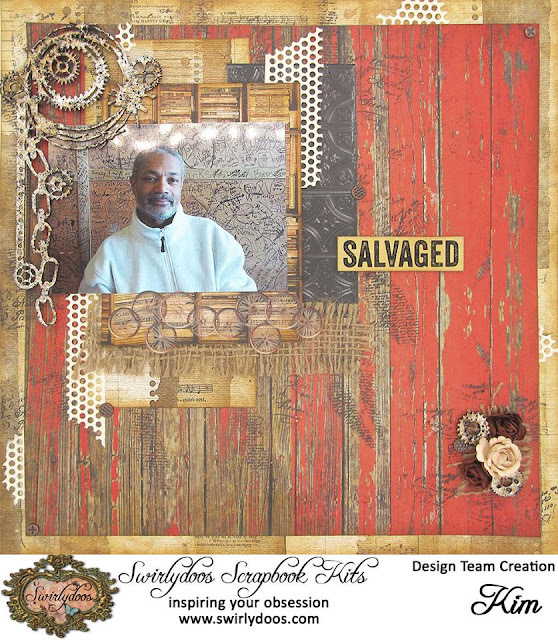 There are lots of distressed layers on this one. Here's a tribute page to my grandfather. This is more of a grungy, masculine layout. Ok, here's the Anatomy of a Layout that is posted in the Swirlydoos forum. You can find the SnapGuide here. I decided to make the page interactive. So, it has a hidden flap that opens to reveal more photos and journalling. 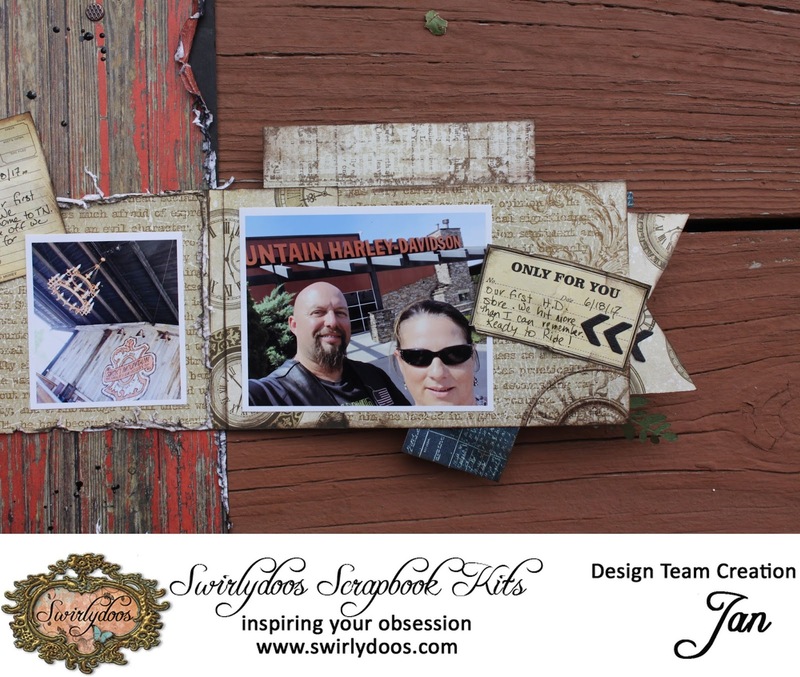 Stay tuned for my video tutorial on this OTP project. August is almost over which means some of our challenges are almost over. Have you entered the ATF challenges yet? The deadline is 8/31. The card challenge "In stitches" will end on 8/31, too. Here's an entry from Step. 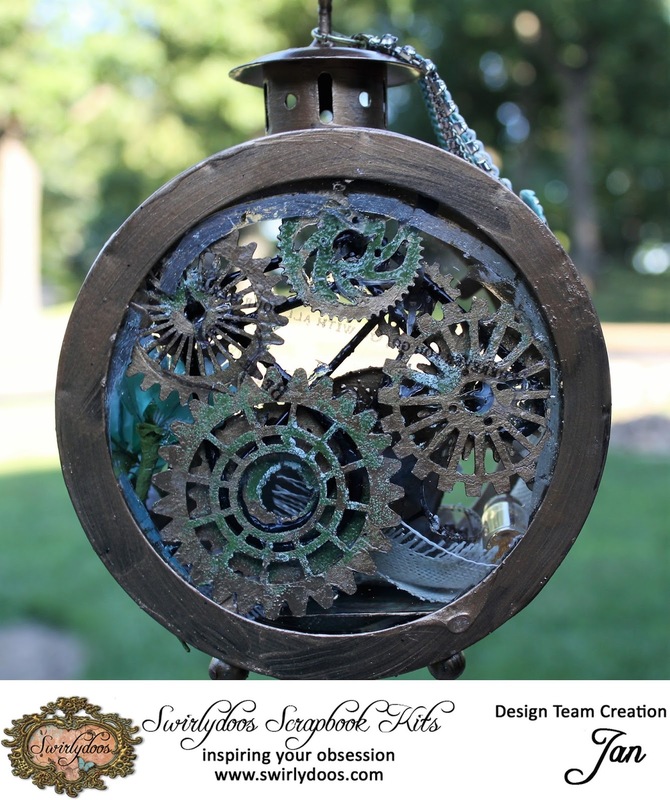 The July kit of the month "Sprocket" sketch challenge will end on 8/31, too. 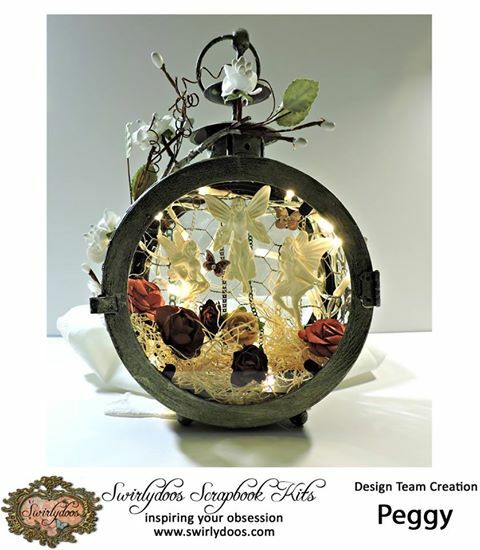 Check out this beauty by Ginny. 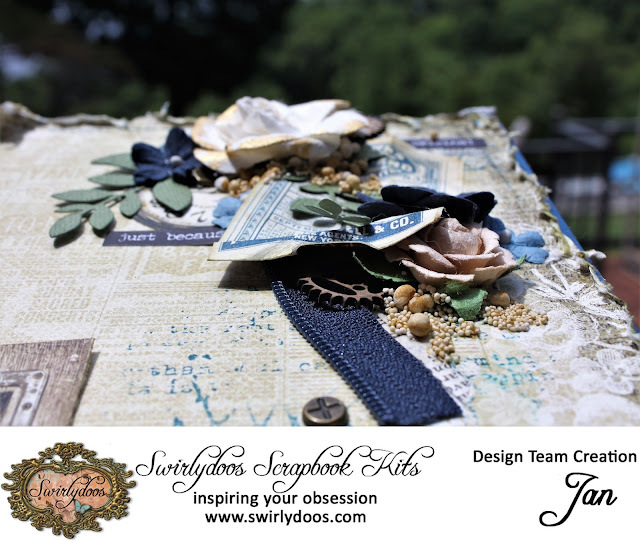 Ginny's take on July "Sprocket" sketch immediately caught my eye this week. 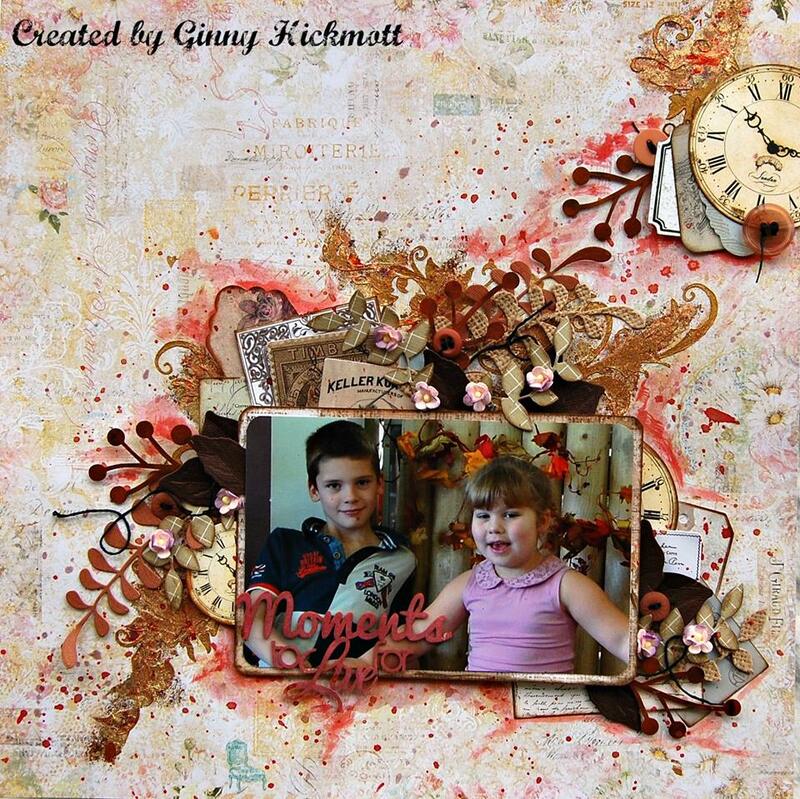 She has scrapped this adorable photo of her son and daughter so well with the layers and layers of die cuts and ephemera and other details and just the right amount of splattering and shadowing and touches of gold to form a truly gorgeous layout!!!! 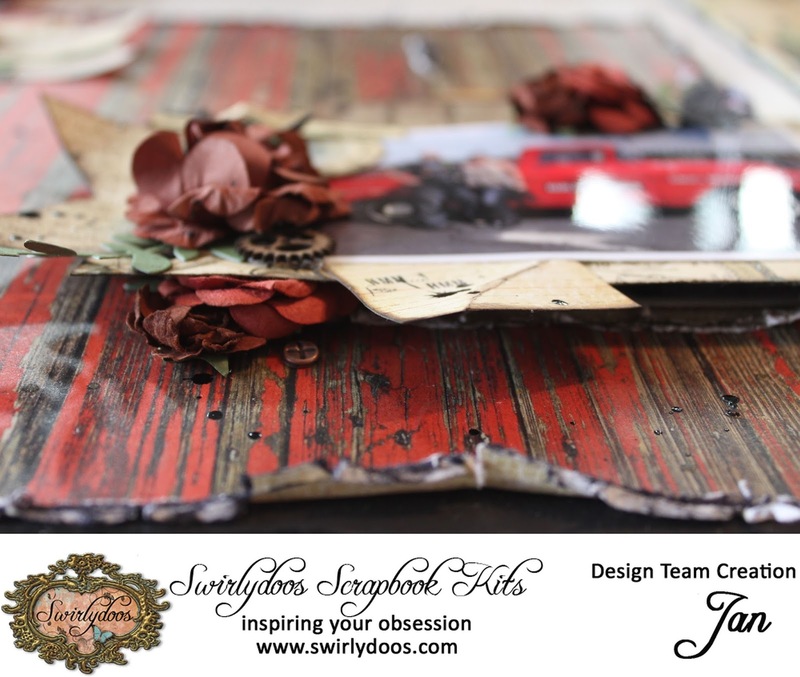 Jan has prepared an awesome step-by-step photo tutorial using the July Main Kit! 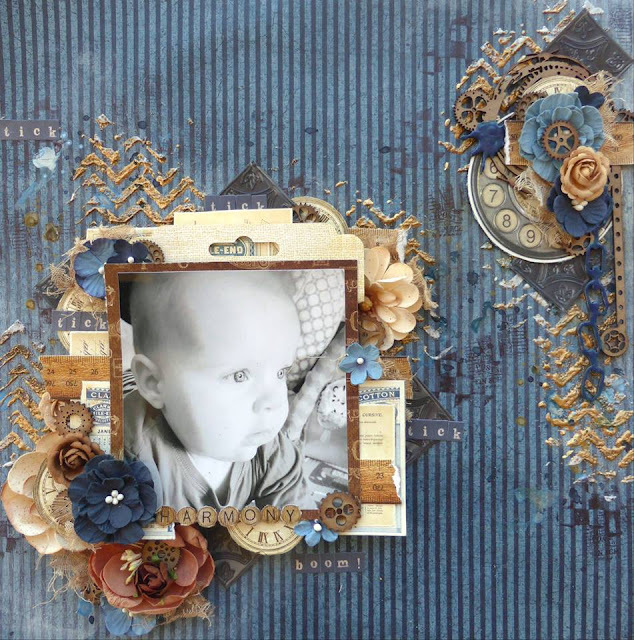 You can find this tutorial (as well as other months) in the "Anatomy of a Layout" section of our forums! Follow along as she creates this beautiful page using the exact same kit you have! This beautiful sketch is your inspiration, now get creating! Our February sketch challenge runs until August 31th, and is open to EVERYONE! Hi all Heather here today. 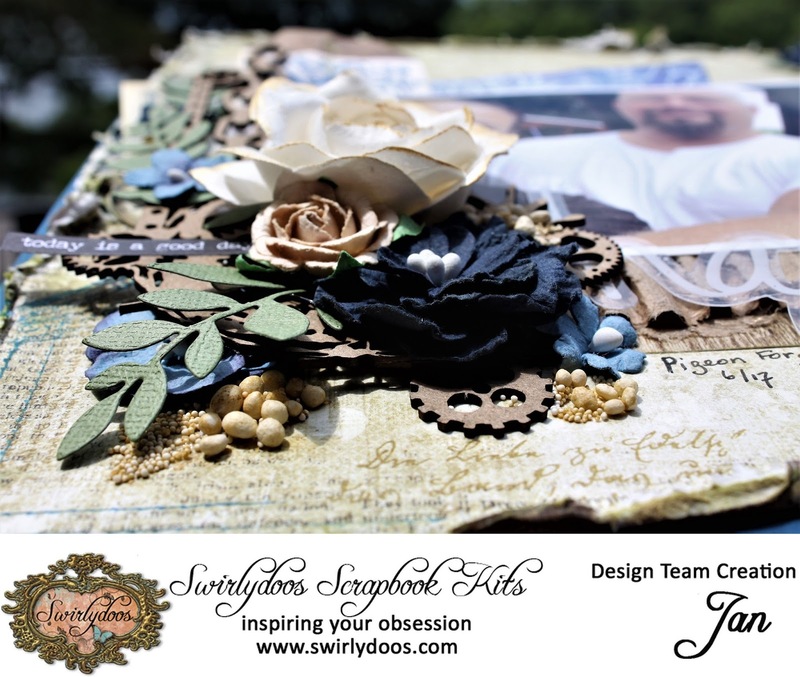 I want to share a mixed media layout I made for Swirlydoos Kit Club using elements from the Main kit "Spring Grunge" along with goodies from the Add-On kits. I made a video of the creative process , I hope you enjoy! Along with a number of background techniques I did some simple layering and focused more on the picture. This is of Olivia on an old ship sailing through the harbor in Oslo Norway. I just happened to be a gorgeous day and the weather was perfect for a sail in the harbor. Thank you for stopping buy today! So, how are you doing with the monthly challenges?! 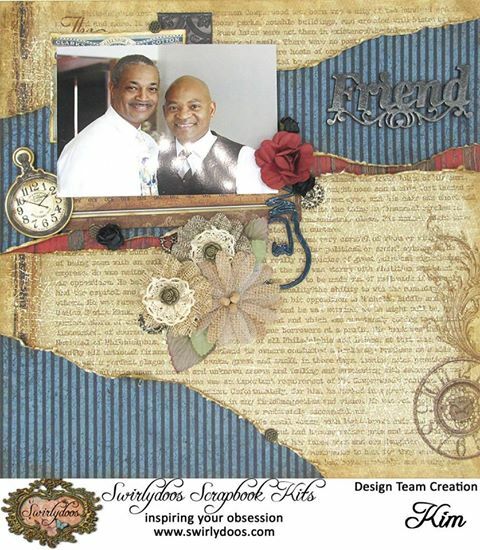 Here's a beauty created by Bec for the sketch challenge. 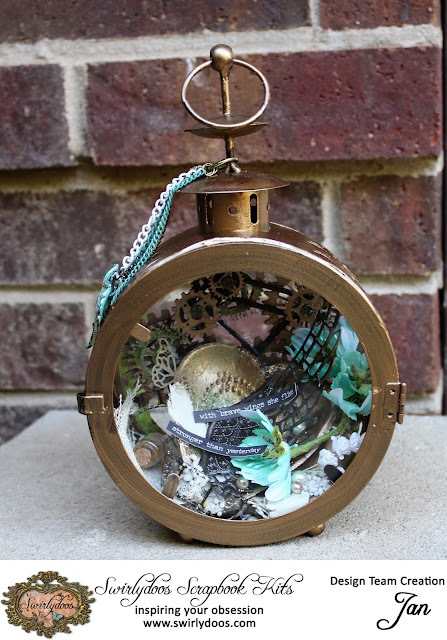 You've got until 8/31 to enter your creations here. 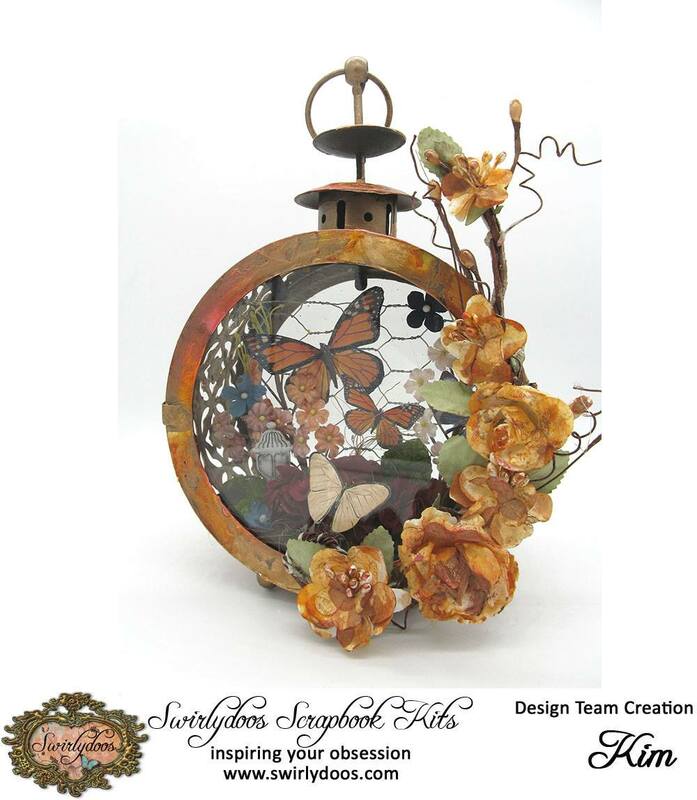 We all like to use butterflies so why not enter the All that Flutters challenge here. 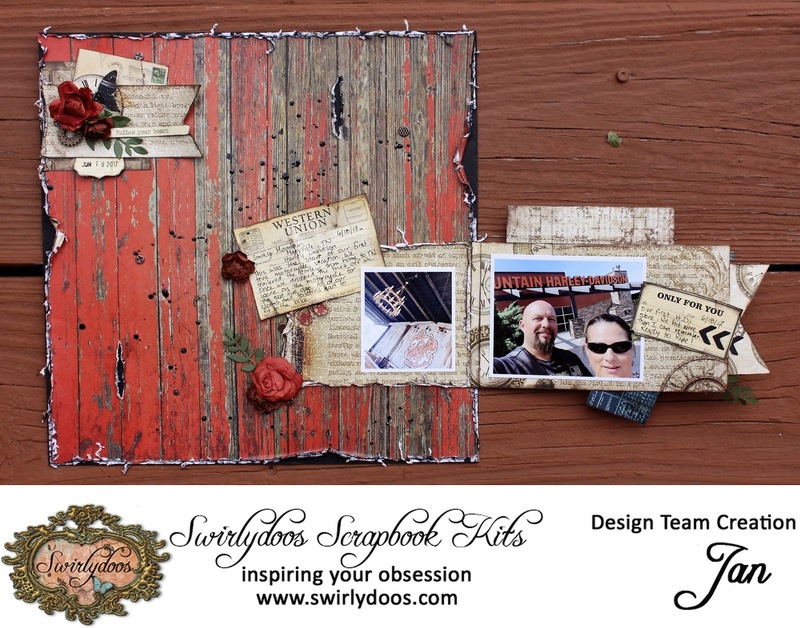 Here's the latest entry from Swirlydoos member, Steph. 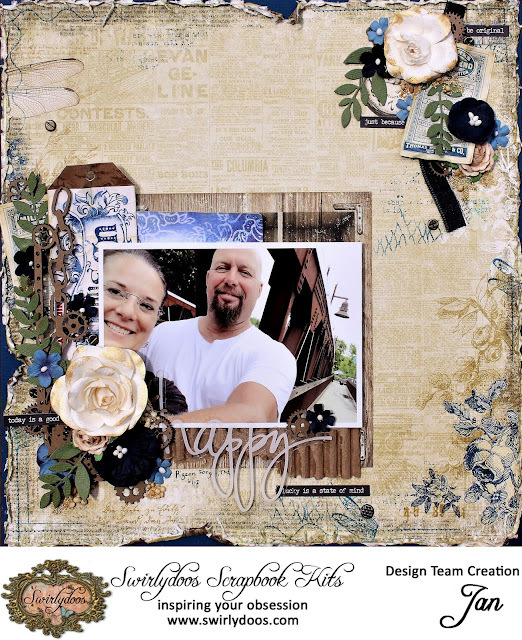 No time for a full 12x12 layout? Well, we do have card challenge again this month. Check out the details here. See what the special twist is, too. 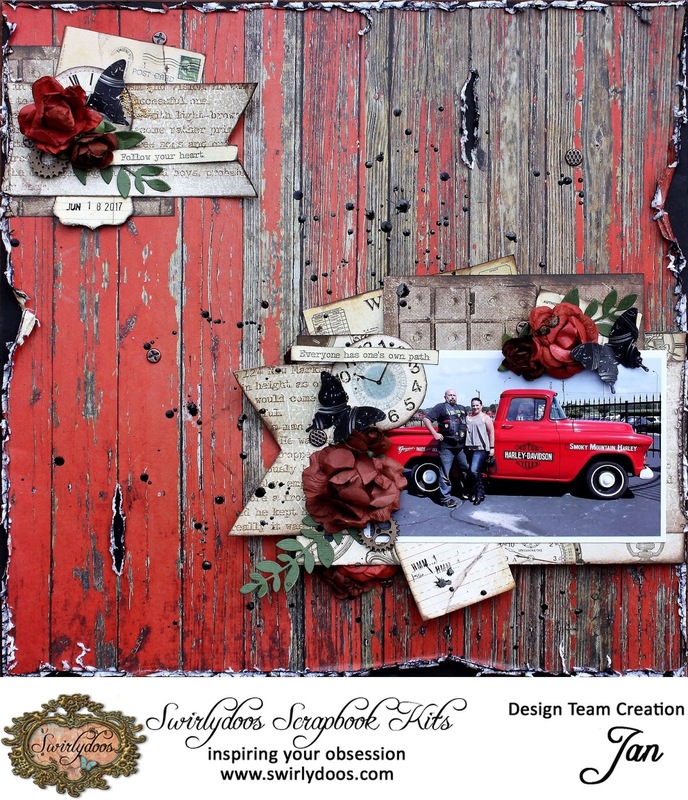 There were so very many gorgeous layouts posted this week that it was really hard to narrow it down to just one! In the end, Bec's page featuring her adorable son captured my heart. 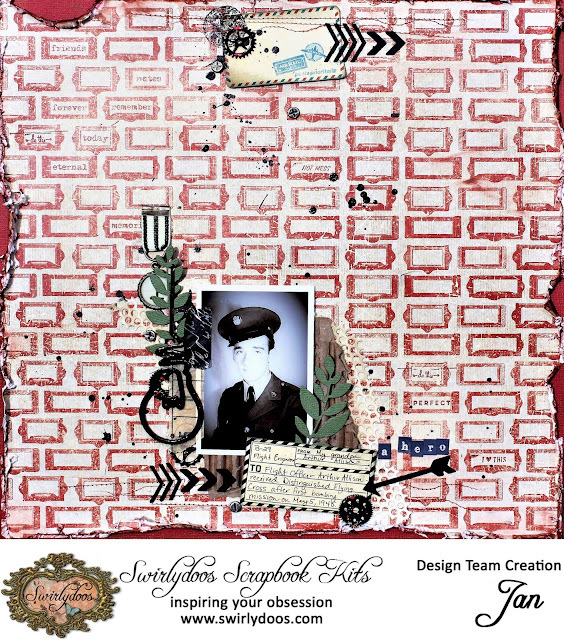 The background mixed media, the layers of 7 Gypsies stickers and fussy cut images, the chippies and flowers and the "tick tick tick boom!" alphas all come together to form a stunning page, perfect for this little guy!